Mac systems are very reliable computer among Mac users but, some common problems, such as applications not loading or exhibiting strange behaviour etc. are faced by Mac users over a period of time. When it comes to diagnose and resolve these problems, most Mac users rely on Disk Utility. Disk Utility can resolve many problems—such as damaged hard drive directory structures and permissions problems with Mac OS X’s system files. 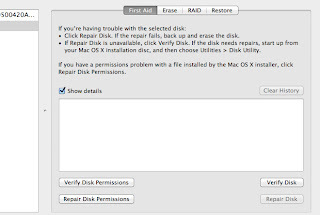 So, what are Mac disk permissions and how do you fix them? When you “repair disk permissions, it means, you are giving instruction to your Mac ,fix any files whose permissions are changed now. 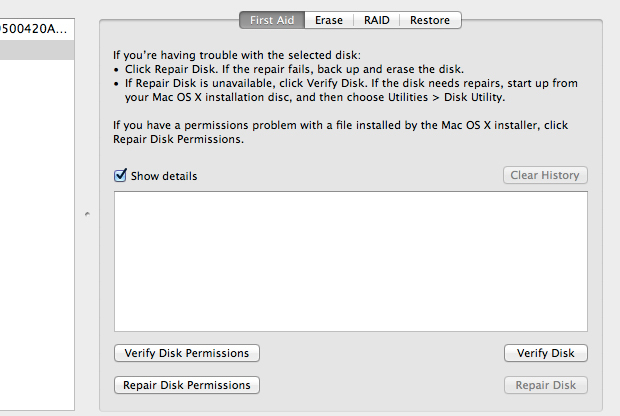 You can do this by clicking on First Aid tab inside Disk Utility window. If it shows any problems just click on “Repair Disk Permissions”, it will fix problems easily. Disk Utility verifies your Mac startup disk (volume) without starting up from another volume. This feature is called "Live Verification." How often Mac users should repair their Mac? 1.Live Verification only works on Mac OS X Extended (Journaled)-formatted volumes. If you try to verify a non-journaled disk, Disk Utility will display this message: "ERROR”. 2. Once you start a Live Verification, you can not cancel it. Permissions as a routine maintenance procedure or as like a precaution before system updates. Repair Permissions will only fix permissions of Apple installed software. It will not affect permissions on user data.